Google Cardboard is all grown up, evolving into a new platform known officially as Google Daydream. The Google Daydream View is a great first attempt to bring an enhanced mobile VR experience to the table, with excellent motion controllers tacked on. Of course, the platform is far from perfect. It's early days for the platform and we hope things will only get better with time. Would you believe that it’s been two years already since Google Cardboard was first introduced to the world during Google I/O 2014? The platform, which was developed by Google, provided nearly anyone and everyone with an Android-powered smartphone with the taste of virtual reality – and without having to invest such a huge sum of money in the process, something that made it accessible to a broad range of people. Fast forward now to the present, the mobile virtual reality experience is evolving with the release of Google’s next-generation headset. The level of immersion is undeniably critical in making virtual reality believable, so it’s going to be intriguing to see how the advances with the Google Daydream View will make for a convincing argument for the segment. Mobile VR as we’ve seen thus far, has been largely static in comparison to what commercial VR systems, such as the HTC Vive and Oculus Rift, have delivered for a decent time now. Let’s just cross our fingers and hope this next iteration is a leap forward – as opposed to just small step up from what we know and have. Sorry Cardboard, you were cheap and readily available to the masses, but the comfort and ergonomics weren’t there at all. 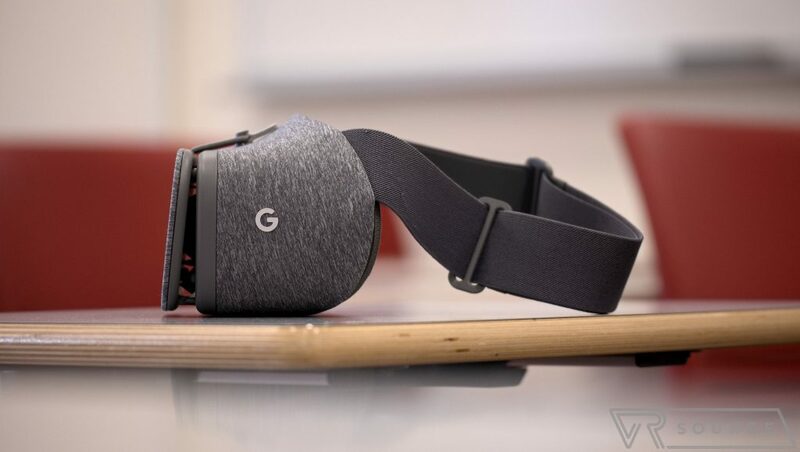 Thankfully Google’s approach this time is more mindful about those two qualities, seeing that the Daydream View adopts a design that’s more agreeable to the styling of today’s clothing – rather than the monolithic, sometimes sci-fi looking designs of other headsets. In fact, its design is inspired by the clothes we wear, so to that degree, there’s a friendlier demeanor to its particular look and feel. While we applaud Google choice for the material employed by the headset, this breathable fabric-esque material dubbed “textiles,” they missed the mark in terms of its fitting. To be fair, though, the soft fabric material feels good over the skin and surrounding area that goes over our eyes. 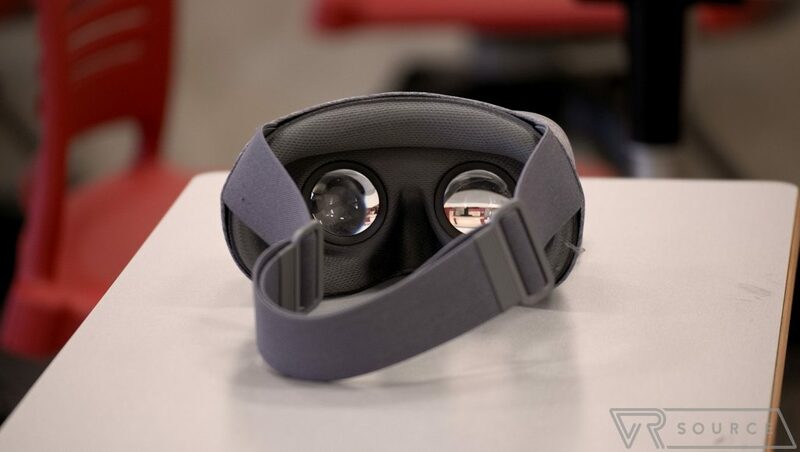 And the uniformity it exudes is much more charming in appearance than the prototype-esque aesthetics of the Samsung Gear VR, or the crudeness of the Cardboard headset. 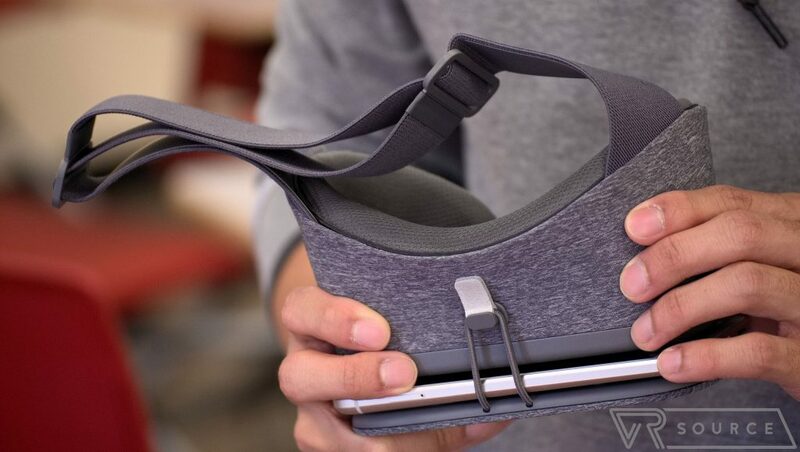 However, having only a single, adjustable strap that goes around our head with the Daydream View, it doesn’t seem equipped at keeping itself propped up while it’s worn. When you place the Google Pixel XL into the headset, the phone’s weightiness causes the entire thing to become front heavy – making it a nuisance because of the constant need of being propped up using our free hand. Of course, this particular design flaw could be ameliorated by simply adding another strap that would go over the head. Sure, the decision to go with a fabric exterior is a great direction for the headset’s overall design, but when it cracks under the weight when the handset is positioned into place, it’s more of an annoyance than anything else trying to constantly adjust the straps. Nice design, but that one flaw is glaring. Really, there’s nothing to it with the setup process of the Google Daydream View. Once the Google Pixel XL is fastened safely into place, the sensors automatically launch the Daydream app. After that, all that’s needed to complete the initial setup process is to press and hold the home button on the new controller that comes included with the headset. We will mention, however, that Google manages to at least plan accordingly with the controller. Its diminutive size, in fact, allows it to be tucked away in the inside of the headset when it’s not being used. 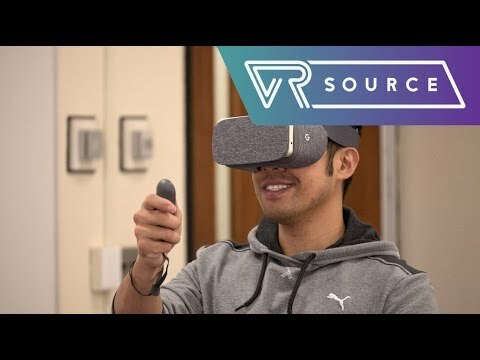 For what it does in the VR world, this new accessory adds to the VR experience by providing us with an expressive and intuitive way of interacting with things. Not only does it have a touch sensitive pad, as well as the usual home, back, and volume controls, it’s capable of sensing motion. 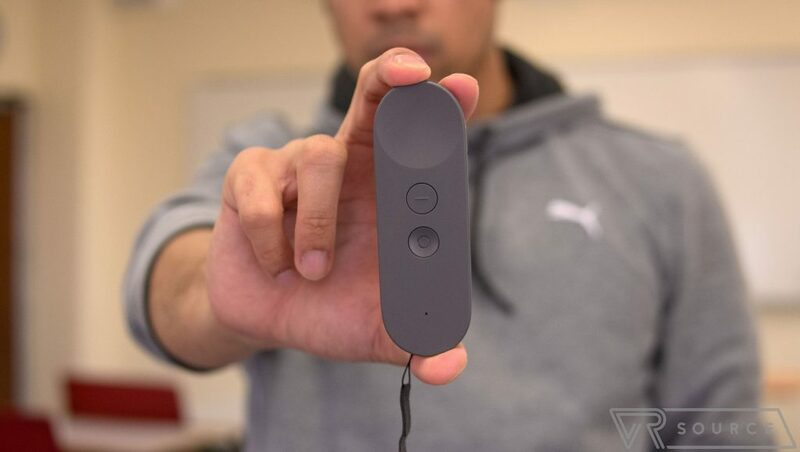 Call it the secret weapon in its arsenal, it’s similar in premise to other motion sensing controllers – like the Nintendo Wii remotes, DualShock 4, and even the HTC Vive controllers. Once the calibration is completed, we’re automatically brought to the Daydream Home portal, which is set in this forest world and it’s the area where we see all of our downloaded apps and content. Currently, though, this portal is the only way to initiate downloads for Daydream supported apps. Meaning, there’s no separate section yet in the Google Play Store to download apps – so you’re forced to use Daydream’s VR interface. 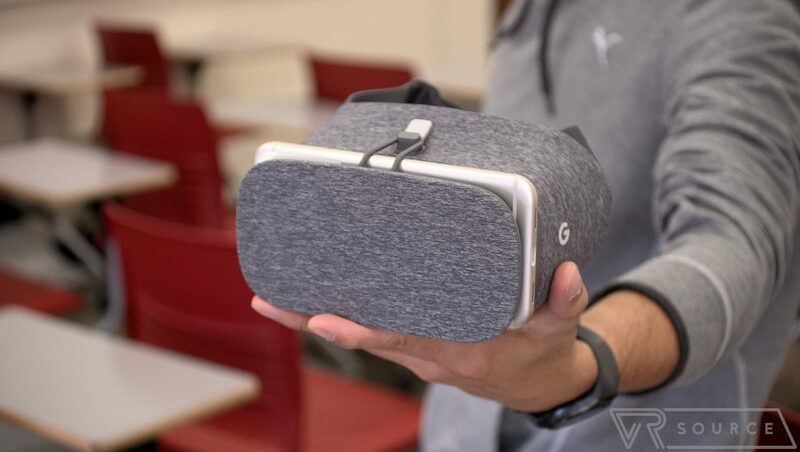 Given that the Daydream View is still the vessel for the brains of the operation, the Google Pixel XL in our case here, its implementation doesn’t stray far from other mobile VR experiences – including Cardboard. In our time checking out the limited selection of Daydream apps and experiences, we can agree that it follows the same fundamental properties of what we’ve seen from mobile VR already. That means that it’s still a mostly static experience, one with limited range extended to looking all around us as we’re sitting or standing still. Before we get deeper into its experience, let’s briefly talk about the two lenses in the headset that allow us to see into this virtual reality. There’s not a whole lot to complain about, especially when the handset’s Quad-HD resolution is the gold standard for mobile VR currently. 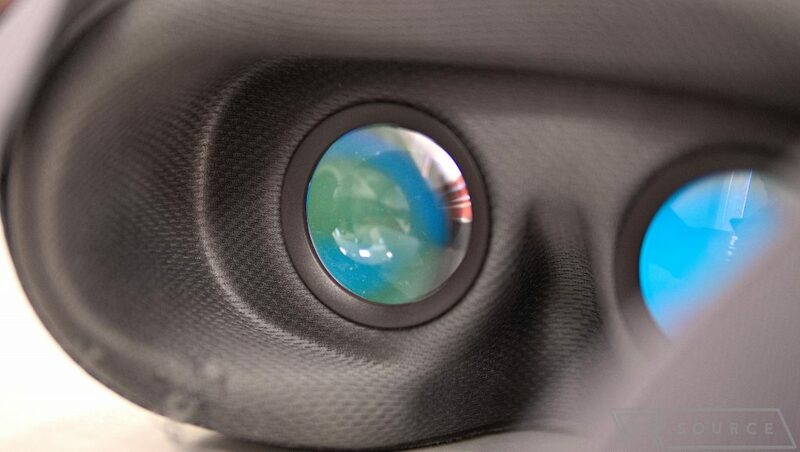 Plus, the lenses have a wide enough coverage to never once make it feel narrow as we peer into them. And in our brief time using the headset, we never once felt nauseous using it, which can also be attributed to the processing power and smooth performance of the Google Pixel XL. Going back to the overall VR experience, Daydreamstill can’t escape the static approach of current mobile VR implementations. Indeed, the addition of the motion controller does nicely to enhance the experience, but at the end of the day, we’re still confined to our space while just being able to look around. Unfortunately there’s no advancement in terms of spatial movement tracking, which obviously would involve a bit more hardware to achieve. The controller acts as a pointer in the virtual world, and in some instances, it’s even virtualized for us to look at. From the looks of it, the motion tracking seems spot-on and responsive, as waving, tilting, and panning it are precisely tracked – so it very much works like other motion controllers. The caveat is that it’s tethered in the way that it doesn’t respond appropriately in the VR world when it’s raised above the headset. It’s a minor limitation, of course, but nonetheless one that we have to mention. Don’t get us wrong, the motion controller absolutely enhances the mobile VR experience, but ultimately the overall experience is still very much like Cardboard and Gear VR. Therefore, its level of immersion still falls short of what’s achieved by the complex VR systems out there. For an on-the-go experience, it achieves the same result as other mobile solutions – just that it’s enhanced by the addition of the motion controller. We’ve been checking out a few games and experiences with the Google Daydream View, ahead of its official availability date of November 10th. 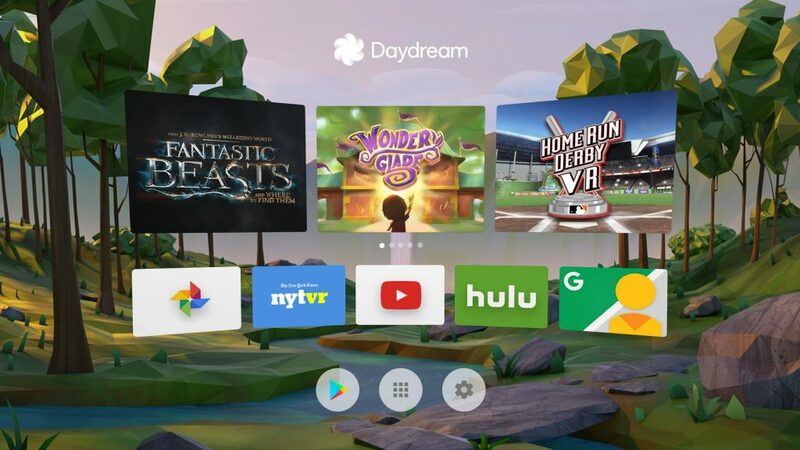 It’s really tough to say after checking them out if it’s a home run for Daydream, especially when you know developers will no doubt create some cool and innovative content as time goes by. In the meantime, however, we will just say that this is just the beginning – so don’t expect anything extraordinary. Google apps such as YouTube, Street View, Google Photos, and Play Movies all act as you’d expect, wherein they function in the same capacity to what we’ve been exposed to with mobile VR. Street View allows us to visit famous landmarks in far away places, or alternatively, visit the street where we spent the majority of our childhood. There’s nothing exorbitant with the VR experience, naturally, since it’s a static experience that lets us absorb the sights and scenery – while using the motion controller to quickly jump from one location to another. With Play Movies, it does nothing more than to replicate the big screen experience of a movie theater. Again, we can’t stress enough about the static experiences here, which is due to the headset unable to measure spatial movement. The motion controller makes it more convenient with interacting with things in the VR world, such as pointing at dots to jump from one area to another in Street View. Despite its addition, it’s not doing a whole lot to move forward the experience – still, it’s better than having to press on some button on the headset, or something like that. Moving onto the games, they make better use of the motion controller. Games like Wonderglade, makes it necessary to use the controller to play many of the mini games there. For example, it’s used to act as a firehose to douse flames, it becomes a golf club in mini golf, and even show off its motion tracking by tilting it in all sorts of ways to guide a ball through a maze. Wonderglade, by far, best showcases the potential of the motion controller’s implementation in the VR world. Other games we’ve checked out also make use of the motion controller. In Mekorama, we use the motion controller to help guide out tiny robot friend through these puzzles by pointing it where to go, moving blocks with the motion controller to gain access to new levels, and much more. Endless shooters are being transformed as well with the Daydream View’s implementation. Hunters Gate in particular, utilizes the controller’s touchpad to navigate our player in the map, while using the controller at the same time to target enemies. These games do a better job of showing how valuable the motion controller is with the overall experience. It’s a small tease so far, so we’re itching to see how other games and experiences try to innovate the overall VR experience. Cardboard is so beloved not only because it exposed a vast majority of smartphone owners to virtual reality, for the very first time even, but also because of the minimum investment cost coming from users. 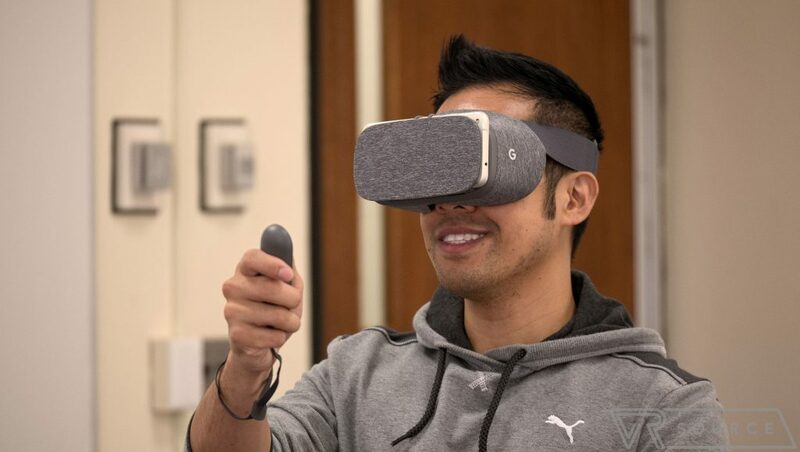 With the Daydream View, of course, its new motion controller and breathable fabric design means there’s a significant cost attached to it over its Cardboard brethren. At first glance, the Daydream View’s cost of $79 might seem alarming, but it actually undercuts the competition – making for a presentable solution that’s priced effectively. The bigger question we need to ask, though, is whether or not these new implementations add any value to the overall experience. Early on, it doesn’t seem likely, as we feel that only one game really manages to harness the power of the new motion controller. Then again, things might very well change rapidly once the headset launches and developers can go on to tinker with it more, fine-tune things, and eventually come up with some ingenious ways this system can really sell virtual reality to the masses. One of the most pressing things, however, is just the continued static approach – something that hasn’t changed at all. The missing piece here is spatial tracking, something that has been the defining, also differentiating factor that separates mobile VR from the full-blown experience we see in things like the Sony PlayStation VR, HTC Vive, and Oculus Rift. We’re hesitant to recommend picking up the Google Daydream View right now, mainly because it’s only a small step forward from what we’ve seen in the mobile VR space over the course of the last couple of years. Then again, if you have a Pixel, it’s only $79 and so you’re not exactly investing a ton of money for the chance to dive a bit deeper with VR than you could with Cardboard.